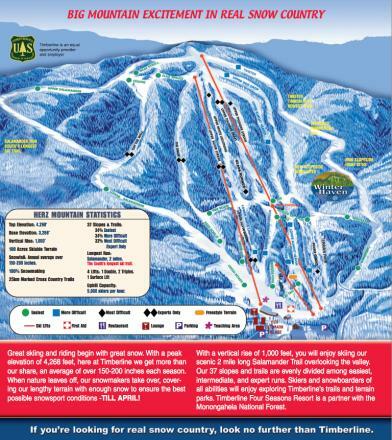 View the trails and lifts at Timberline Four Seasons with our interactive trail map of the ski resort. Plan out your day before heading to Timberline Four Seasons or navigate the mountain while you're at the resort with the latest Timberline Four Seasons trail maps. 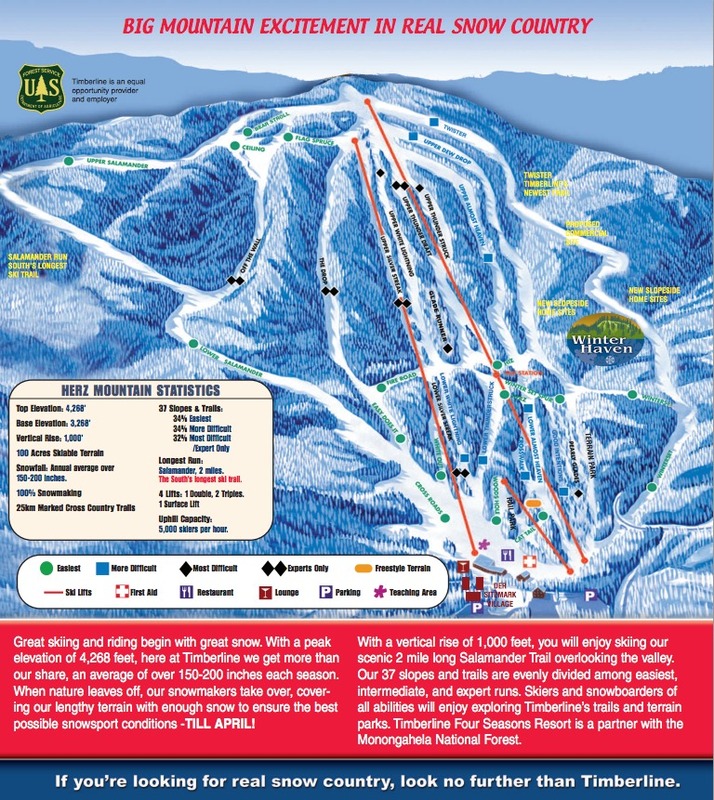 Select resorts also feature an additional trail map from partner, FatMap that provides a 3D view of the ski resort, including slope steepness and aspect, along with information on what it's like to ski each of the trails at Timberline Four Seasons. 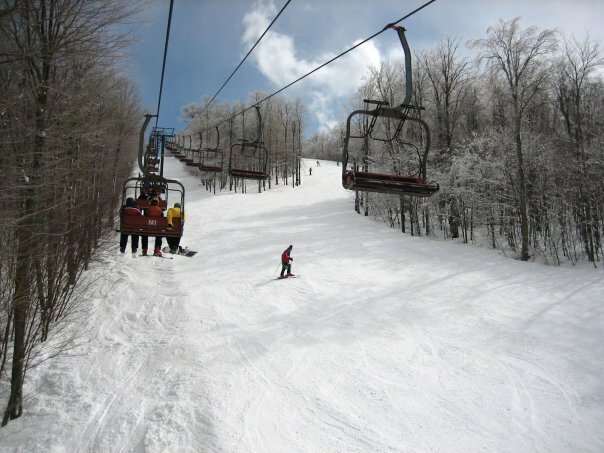 Sadly Timberline closed in late Feb. last week was THE best sking at Canaan nearby. Timberline is closed indefinitely until someone buys it, if that happens. It's a real bummer that it was mismanaged so badly and that they went broke. It was nice having side by side mountains to choose from in Davis, West Virginia. Hopefully somebody buys it and does a better job than the current owners. It's a real shame. Don't waste your money here! It's mismanaged, lifts are constantly failing, beginner slopes only are open, and the bar has yet to open this season. If you're in the area, do yourself a favor and ski at Canaan! I really hope t-line doesn’t go out of business, but they are just making all of the wrong decisions.